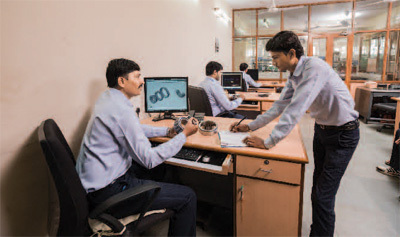 TURBO has well established Design and Development Department for designing of product and tooling. TURBO has Design experts, with long and rich experience. Design & Development activities are carried out by using latest software. The R&D department of the company is with collaborative and flexible approach and always responds to customer needs innovatively. We offer optimum lead time to new and customized products. We have imported Bearing Endurance (Life) Testing Machines. These machines are suitable for testing Radial Bearings & Tapered Roller Bearings. 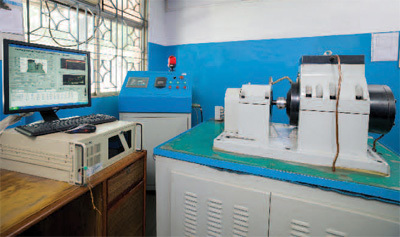 These machines are equipped with programmable controls & monitoring systems to monitor vibration level, temperatures & speed of Bearings under test. These machines test the bearings under aggravated loads & speeds, in line with the life requirements in the field application. With these machines, we ensure that actual life of TURBO bearings is higher than designed rated life of the bearings. Turbo Bearings Pvt. Ltd. © 2019 All Rights Reserved.